Hello, dear Steemians and Steevians! This is the second update from the Steeve team, we want to share what we have accomplished since the previous update. If you don't know yet what Steeve is, make sure to check the intro post. Steeve is very much about recommendations and the most significant feature added in this respect is the Read Next section that you will now find under selected stories just above the comments section. Up until now, it was possible to only add content. From now on it is possible to also edit and delete stories and comments. This is another must-have feature that will make your interaction with the blockchain easier. When browsing your feed and recommendations, it is just natural that you encounter a new user that you want to check out. You can do so directly in Steeve from now on, the URL format is the same as for Steemit and other platforms, e.g https://www.steeve.app/@steeveapp. 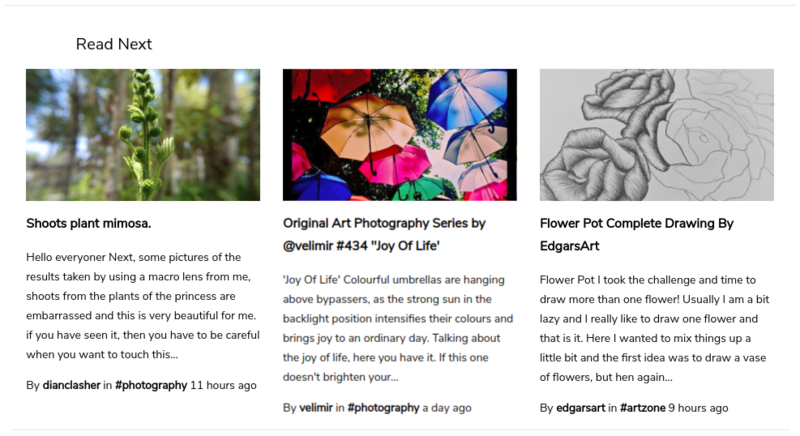 Only the blog section is available for now, but that is probably the most needed one. New users were getting confused about whether to click Sign Up or Sign In, so we changed it to a single button. Big hug goes to @noisy for reporting security issue #27. Changes do not spread well throughout the web application right now. When you vote on a story opened from your feed, the story card in the feed is not updated. This needs fixing. Making it possible to upload pictures through the editor is also a very high priority. We also want to improve the profile page, which is rather sparse right now. Adding a mana bar would be also nice so that you can keep track of your voting power and resource credits. Last but not least we are constantly working on improving our recommendations. So as you interact with Steeve the recommendations should gradually reflect your personal preferences more and more. The best support for now is to actually log in and try Steeve out. Let us know then what you think! Use comments or the issue tracker. We need to spread the word throughout the community, so don’t hesitate to resteem this story. Don’t forget to follow @steeveapp for more updates to come. 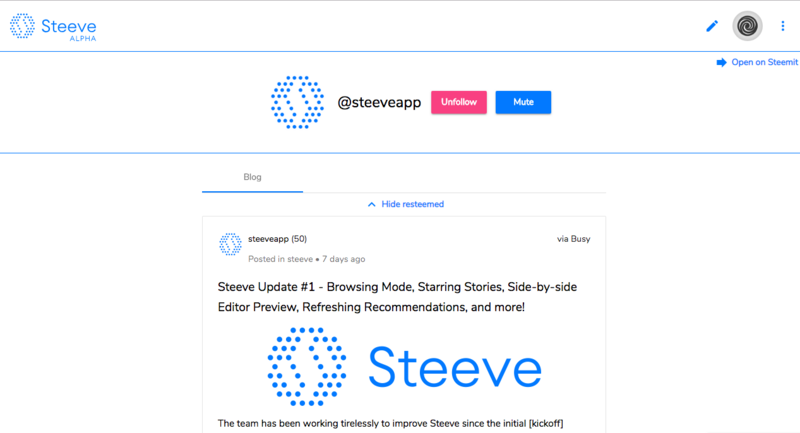 I think... the biggest issue with Steeve will be... to convince people to chose everyday Steeve over other interfaces with traditional trending pages. IMO gamification is a solution... like visit Steeve 3 days in a row, to unclock extra feature, visit Steeve 7 days in a row, you will get X! Excellent, it is good to go improving to give more facility to the users to work with it, in my pc it has the problem of that it is very slow. Is photo not allow to upload on Steeve Alpha? There is actually an issue created for this already. alright sir thank you..hope it would be fix soon..